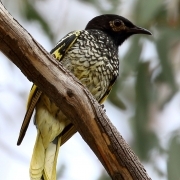 With only 350–400 mature adults remaining in the wild, the regent honeyeater is one of Australia’s rarest birds. The striking black and yellow birds were once widespread along the eastern Australian coast, from as far north as Rockhampton to Melbourne in the south. Extensive clearing of woodland habitat has seen their numbers decline and the range of their distribution contract. Competition from more aggressive honeyeaters for their increasingly scarce woodland habitat has also put pressure on their numbers. 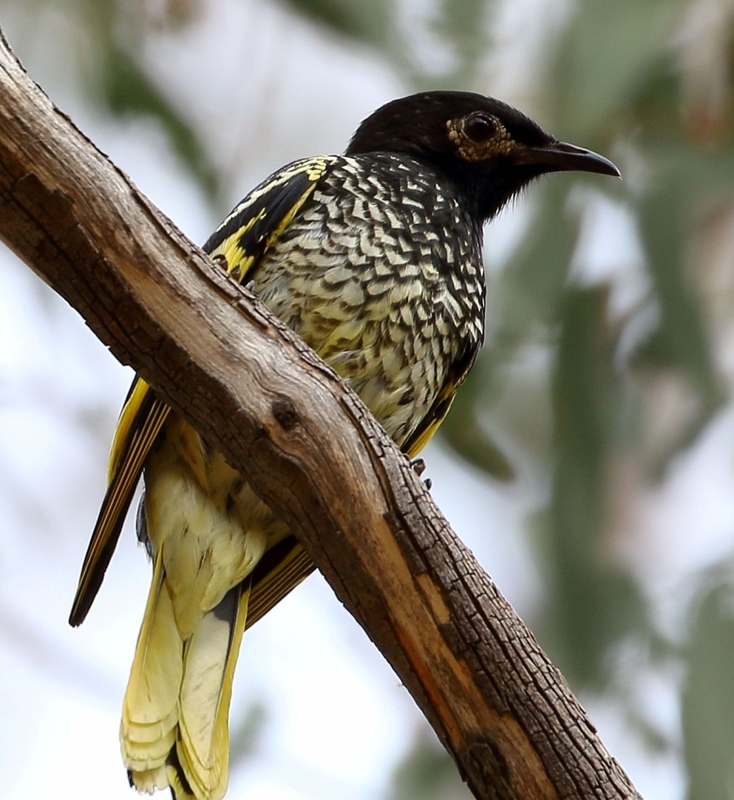 The regent honeyeater’s habitat is now mostly restricted to the western slopes of the Great Dividing Range in Victoria and New South Wales and the Capertee Valley is a key habitat and breeding site. The Capertee Valley Landcare Group have been working on enhancing woodland habitat for this critically endangered bird and are seeking volunteers to help with their latest planting efforts. The planting is the first in a five year project to restore habitat and provide increased habitat connectivity. Support from local landholders along the Capertee River has meant the project can strategically target key regent honeyeater habitat and the plantings will supplement feed trees at breeding sites. The project follows on from a pilot study conducted last year where volunteers planted 150 trees. Survival rates have been very good despite a very hot summer and drought conditions. The plantings have also been designed in a way that the river bank will be stabilised and prevent further erosion and improve water quality. Capertee Valley Landcare Group are inviting volunteers to help plant 200 tubestock and install tree guards on Tuesday 28 and Wednesday 29 May. There will also be a further two planting days with high school students, on Friday 24 and Friday 31 May, where help will be required. For further information or to register your interest contact Julie Gibson, Capertee Valley Landcare Secretary, cvlandcare@gmail.com.